The Enviromental/Beautification Greenspace Committee works to improve green space and public spaces within the MKNA boundaries to beautify the neighborhood, improve quality of life, and foster pride in the neighborhood. We always need members and volunteers. If you are interested in making a difference in our neighborhood for generations please contact us. Organize and lead an annual Great American Cleanup day each April in conjunction with Keep Indianapolis Beautiful.  Partner with Keep Indianapolis Beautiful for an annual MKNA tree planting as part of KIB’s Neighbor Woods program. Assist with the Lilly Day of Service program ensuring MKNA needs are considered as possible projects. Synergize with other neighboring organizations to ensure support of MKNA green space needs and initiatives.